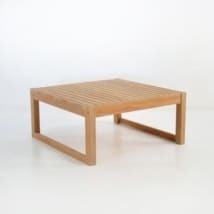 The Classic Rectangle Teak Coffee Table is indeed classic; with an elegant frame and paneling, perfect to complement any outdoor seating set. 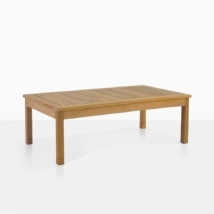 Try this beautiful table with one of our modern A-Grade Teak Deep Seating Collections, encouraging a space that is both relaxing and suitable for entertaining. 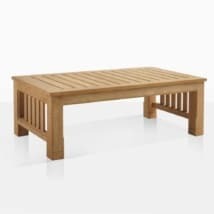 Place 4 relaxing chairs from our mid century fashion range around a Classic Rectangle Teak Coffee Table for a superb and modern look. 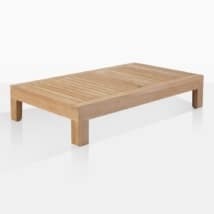 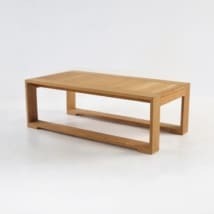 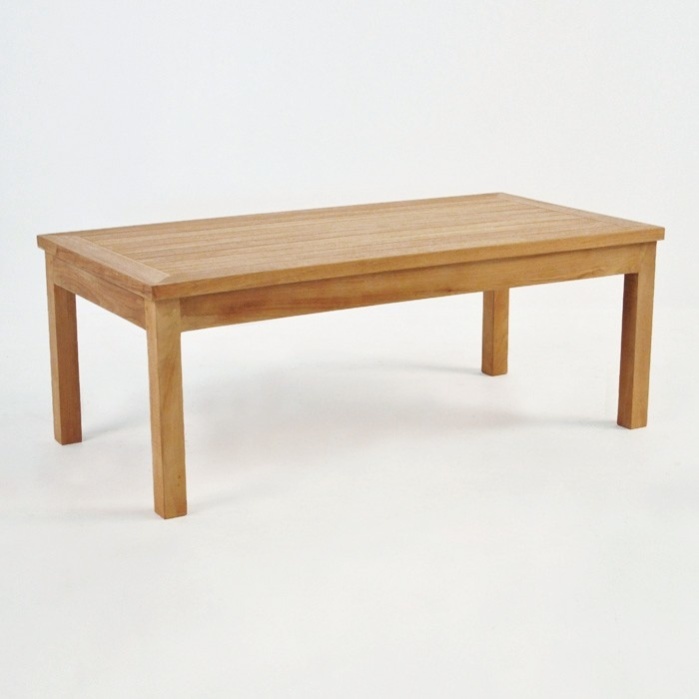 W23" x L47" x H18"
The Classic Rectangle Teak Coffee Table is made out of incredible A-Grade Teak, an ideal wood for use in the outdoors. A-Grade Teak will keep you in comfort for years to come because of the high levels of natural rubber and oil, meaning it has higher than normal durability and resilience against the harsh elements while still looking amazing. 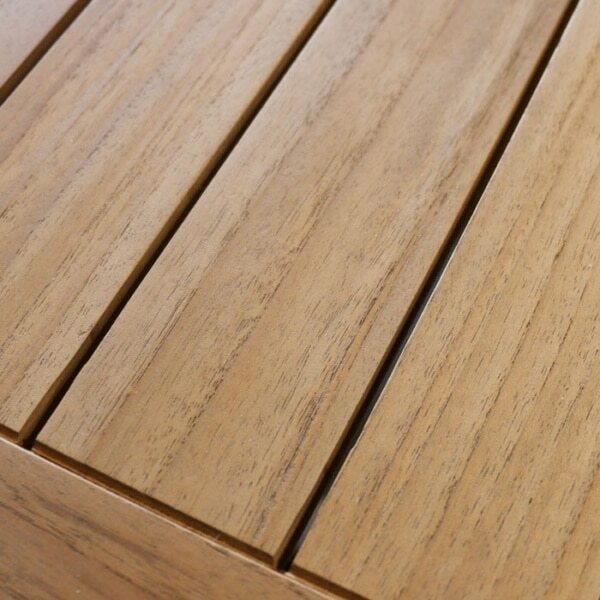 Our Teak Warehouse sales team is on hand 7 days a week to help you find the ultimate outdoor furniture to suit your needs.